An atmospheric, captivating crime thriller with an interactive story that unravels differently for every player. What is it? A nonlinear interactive crime story. Deep in a police archive, in the sickly glow of a buzzing CRT monitor, I’m watching videos of a young woman talking to a detective. A series of interviews about a murder that occurred in 1994 has been broken up into hundreds of pieces and stored, out of order, in an archaic database. I’m trying to piece them together. The clips are short, but the more I see, the more I learn about the woman, the dead man, and the events surrounding his demise. Her Story is set entirely on the desktop of an old PC, and you sort through this labyrinth of video by searching for keywords. The first one the game suggests you try is ‘MURDER’, which brings up a handful of clips that set the mystery in motion. But there’s no prescribed path through the narrative. The way the story is told will be different for everyone who plays it, depending on which keywords are chosen. You might find a clip in your first minute that I didn’t see until my last hour. What’s remarkable about this fragmented, nonlinear structure is that, despite it, the story unravels in a way that feels totally natural—and with twists, turns, and revelations that feel like they could have been scripted. You’ll think you have it all figured out, then unearth a clip that makes you rethink the entire story. You’ll hate the woman one minute, then sympathise with her the next. You’ll see something in a clip that will have you frantically searching for one you found earlier that didn’t make sense then, but has suddenly become clear. It feels like you’re slotting together a jigsaw puzzle, watching abstract shapes slowly form a picture. You can store important clips to refer back to later, or tag them with your own keywords, but there’s no way of playing them in order. This means you have to piece her story together in your head, knowing that you might be proven wrong at any moment by a revelation in another snippet of her interview. It’s as much about your interpretation of the story as the story itself. Is this what really happened, or are you projecting your own prejudices or insecurities onto this woman? When you find a clip, a square is filled on a database tracker. Green squares are clips you’ve seen, red squares are ones you haven’t. This gives you an idea of how much of the story you’re missing, and knowing there are unwatched clips still hidden away compels you to hunt down every last one. You can ‘finish’ the game at any point, rolling the credits, but there’s no clear, neat ending that explains everything—even if you find every clip. Your own version of events, based on the conclusions you’ve drawn from the woman’s story, is the only real closure you’ll get. It seems easy at first. You type in words like 'ALIBI', 'BODY', and 'SIMON', the name of the dead man. Lots of results come back and your database tracker fills up. But the deeper you go, the harder it gets. You have to get creative with word combinations and listen carefully for important clues: names, dates, places. The last few red squares took me over an hour to find. It took six hours to find them all. As the game went on, the increasingly rare sight of an unplayed clip was a genuine thrill. I felt like a detective on the verge of cracking a case. And then there were moments of desperation, hammering in random words, praying for a hit. The interface of the computer is a convincing Windows 95 analogue, letting you drag windows around and open files. Fluorescent lights are reflected in the glass of the monitor, briefly revealing the head and shoulders of the person sitting in front of it as they flicker. The clips of the woman are recorded on VHS, giving them a rich texture, and actor Viva Seifert plays her brilliantly. Her performance is understated, realistic, and complex. For a game built around a single screen, it’s absolutely steeped in atmosphere, with fantastic sound design. 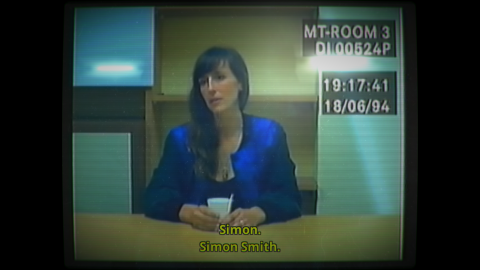 Her Story has all the drama and intrigue of the best TV crime shows, but plays to the interactive strengths of the medium in a daring, imaginative way, trusting you to make sense of the scattered jigsaw pieces at your own pace. It’s her story, but it’s also your story. The murder mystery is as old as popular fiction itself, and territory video games have covered before, but I’ve never experienced one quite like this.